A team of poets, songsters and musicians from Scotland, Ireland and England, gather to celebrate the universal experiences of hail and farewell. Emigres and immigres, new babies, first days at school, honeymoons, wars and other familiar and family events will be honoured in verse and music. Programme devised by Gerard Rochford. With Grace Banks, Doirena Culloty, Brian Farrington, Bryony Harrower, Roddy Neilson, Sheila Templeton and Morag Skene. Grace Banks has always sung and for years has been part of the local traditional music scene, also influenced by traveller Stanley Robertson. Grace sings with feeling, whether her own songs, reflecting her love of nature, or from the rich folk tradition: ‘I like a song which paints a story’. 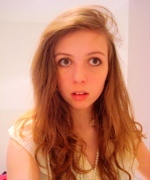 Bryony Harrower was born in February 1993. She is a pupil at Robert Gordon's College and lives with her parents and three sisters in Alford. Bryony has been writing short stories and poems since she was a child and has already won a number of prizes: Short story The Mirror's Secret was a 2008 Word Festival short story winner, Death's Voice was commended in the Animal Aid national poetry competition, she won the Poem in the Sand competition with Sea Woman, judged by the Blue Salt Collective, in 2008, and her poem The Courtesan won the Robert Gordon's College S5-S6 Poetry Competition in 2008. 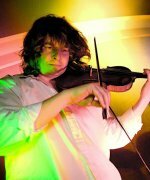 Roddy Neilson has been heavily involved in the Scottish folk scene for many years, playing fiddle, jaw harp, singing plus doing workshops with adults and children. At present he is based in Edinburgh and plays with the Cosmic Ceilidh Band, Blueflint plus the Southern Tenant Folk Union (a bluegrass band based in London). 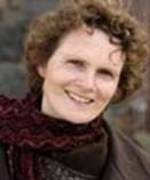 Sheila Templeton was born in Aberdeen, spent an itinerant childhood ranging from Rannoch Moor to Dar-es-Salaam. Her work draws on that rich Buchan landscape and now the changing light of the Ayrshire coastline. Poems in New Writing Scotland, Poetry Scotland and The Herald. Won the Scottish Association of Writers Poetry Trophy 2002 and major awards in the Killie Writing Competition. 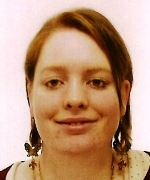 In 2007 she won third prize in the James McCash Scots Language Poetry Competition. Her poem Hairst Meen was selected by Edwin Morgan from over 260 entries to the competition. In 2007 Sheila won the McLellan Trophy. Slow Road Home is Sheila's first collection. 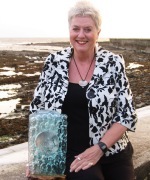 Morag Skene is a North-East quine and is passionate about the arts. 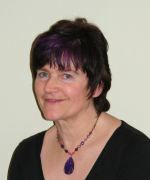 As part of her work as a carer she directs the Willowbank All Stars and Showtime groups and spends her free time involved with the Lemon Tree Writers, Wordfringe Festival Players, WAC (Writers and Actors Collaboration), Cruden Bay Panto, or doing the odd bit of Aiberdeen writing, as she calls it, and singing. Brian Farrington was born in Dublin in 1925. Before coming to Scotland 40 years ago he lived in France. He was Director of Aberdeen University Language Centre. He is known internationally as a designer of language learning software. He has published poetry, a study of W. B. Yeats and research articles on language learning and French linguistics. His chapbook Salt Suds for Keeps (Koo Press) has been well admired. Brian is a fine performer of his own and others' poetry, which he often recites from memory. 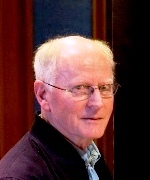 Gerard Rochford's publications include Eating Eggs with Strangers, The Holy Family and Other Poems, and Figures of Stone (Koo Press). Founder member of Dead Good Poets, convenor of poetry readings at Books and Beans. 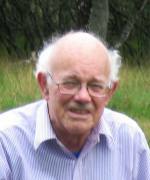 He is included in Janice Galloway's selection of Best 20 Scottish Poems of 2006, for the Scottish Poetry Library. A featured poet on Poets Against the War, principal guest reader at Planet Earth, Victoria B.C. and recently at the launch of the Cromarty Film festival.